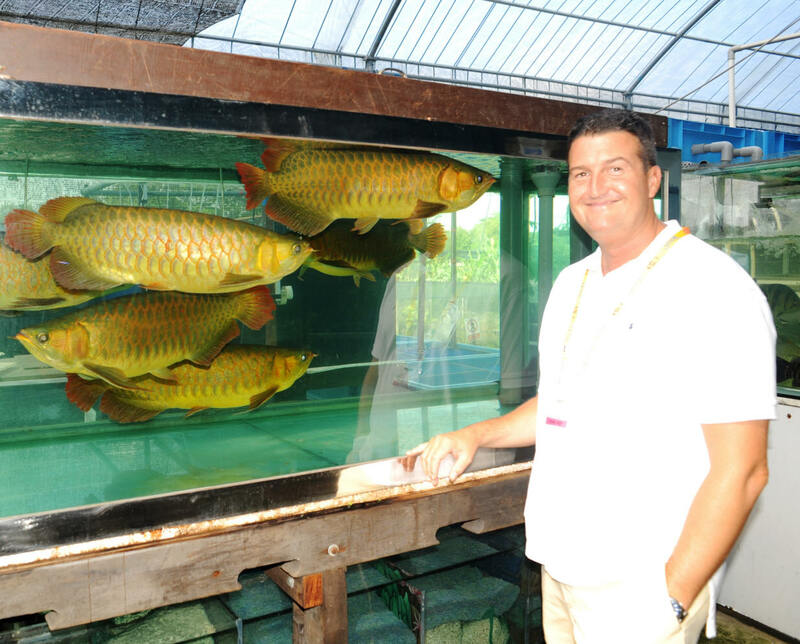 Friend Rob Bray of House of Fins, CT, and some gorgeous large golden dragons (Scleropages formosus) out on the farm tour at Aquarama 09, Singapore. 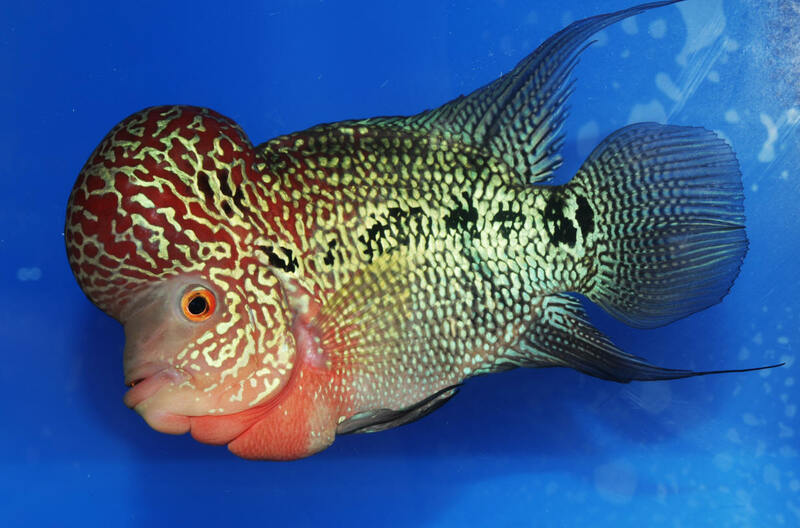 Flowerhorn Cichlid... A cross that has enduring popularity, particularly in the Far East. Out on the farm tour at Aquarama 09, Singapore. Potamotrygonid systems need to be large... at least three times the disk diameter of the species you keep is likely to achieve... 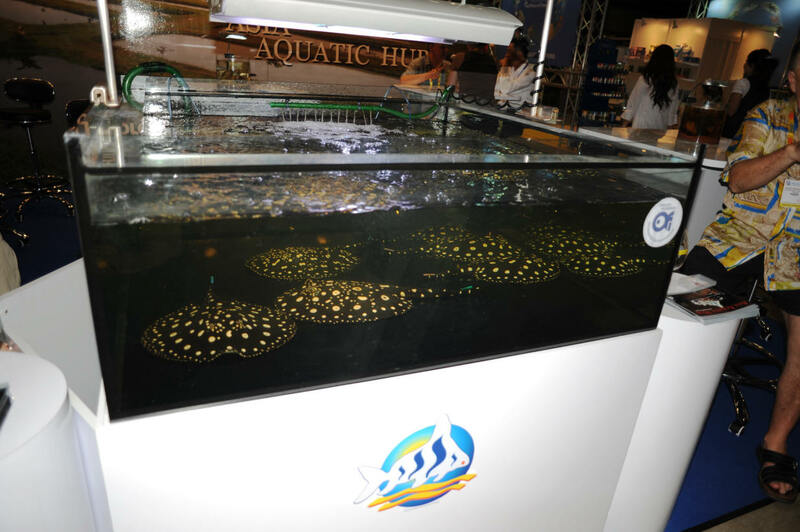 Here is a temporary display at the Aquarama 09 show in Singapore. 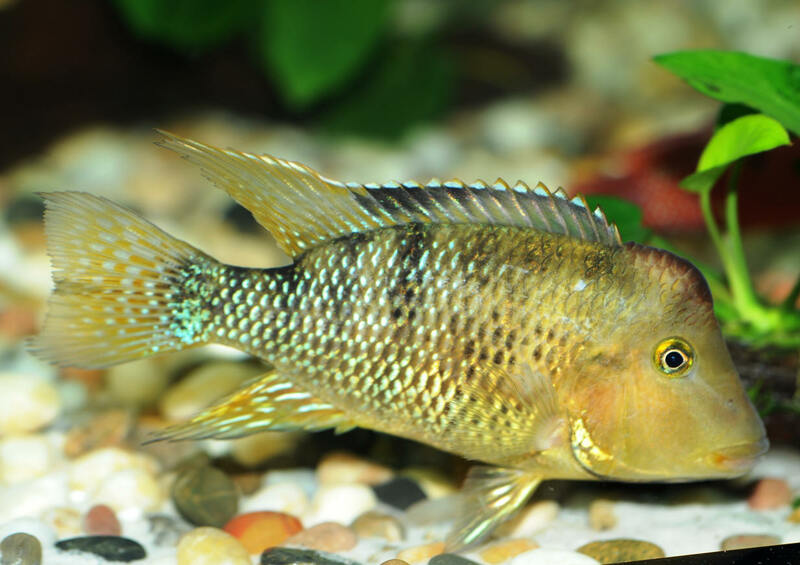 Geophagus steindachneri Eigenmann & Hildebrand, 1922 , The Red Hump Eartheater. To about seven-eight inches. South America: Amazon River basin. pH range: 6.5 - 7.0; dH range: 5 - 15. Aquarama 09 show in Singapore.